Pioneers in the industry, we offer azithromycin tablet, linezolid tablet, azee 500mg azithromycin tablets, azicip 250mg azithromycin tablets, azicip 500mg azithromycin tablets and rifaximin tablet from India. 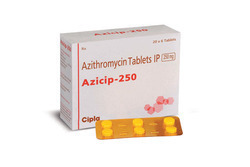 With our expertise in this industry, We are able to offer superior range of Azithromycin Tablets. At vendor’s end, offered tablets are processed using the latest quality chemical compounds and modern technology in sync with industry norms. Our provided tablets are tested on predefined parameters so as to ensure their quality and high purity. Apart from this, clients can avail these tablets from us in various packaging options. 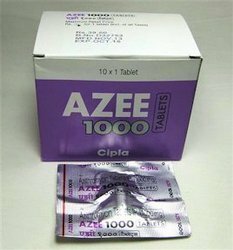 - Azithromycin is used to treat or prevent certain bacterial infections, most often those causing middle ear infections, tonsillitis, throat infections, laryngitis, bronchitis, pneumonia, Typhoid, and sinusitis. In recent years, it has been used primarily to prevent bacterial infections in infants and those with weaker immune systems. 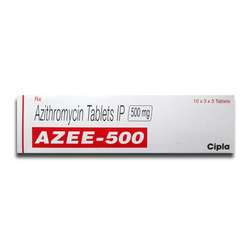 Azithromycin is effective also against certain transmitted infections, such as non-gonococcal urethritis, chlamydia, gonorrhea, and cervicitis. We hold specialization in Exporting and Trading wide range of Pharmaceutical formulations.With our expertise in this industry, We are able to offer superior range of Azithromycin Tablets. At vendor’s end, offered tablets are processed using the latest quality chemical compounds and modern technology in sync with industry norms. Our provided tablets are tested on predefined parameters so as to ensure their quality and high purity. 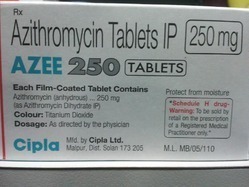 Apart from this, clients can avail these tablets from us in various packaging options. Azithromycin is effective also against certain sexually transmitted infections, such as non-gonococcal urethritis, chlamydia, gonorrhea, and cervicitis. Linezolid is used to treat bacterial infections such as pneumonia (community acquired pneumonia and nosocomial pneumonia), skin infections and infections that are resistant to other . Linezolid belongs to a group of drugs called as oxazolidinone . It works by stopping the growth of bacteria that cause infections. 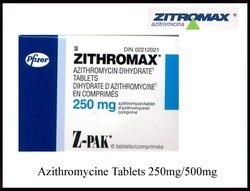 Azithromycin is an antibiotic used to treat bacterial infections of the nose, throat, lungs, bronchitis, ear, skin, soft tissues and S transmitted genital and urinary infections. 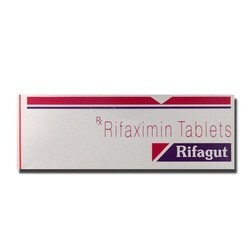 Rifaximin is an antibiotic used to treat bacterial infections of the intestine (traveller's diarrhea). Rifaximin is also used to lower the risk of worsened brain function in adults with liver failure. Brain function can be affected when the liver stops working and cannot remove toxic substances from the body. 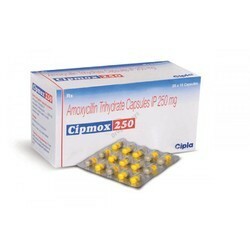 Cipmox 250 mg capsule contains Amoxicillin 250 mg is belongs to a class of antibiotic medicines called penicillin. It is used to treat bacterial infections of the respiratory tract (bronchitis, pneumonia), genital and urinary tract (gonorrhoea), skin and soft tissue, ear (otitis media), nose, sinus and throat (tonsillitis, sinusitis); heart (endocarditis), kidney, urethra or bladder, blood (septicemia), teeth and gums (abcesses), typhoid and paratyphoid fever. 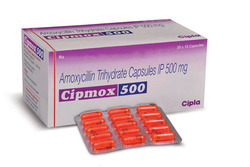 Cipmox 500 mg capsule contains Amoxicillin 500 mg is belongs to a class of antibiotic medicines called penicillin. It is used to treat bacterial infections of the respiratory tract (bronchitis, pneumonia), genital and urinary tract (gonorrhoea), skin and soft tissue, ear (otitis media), nose, sinus and throat (tonsillitis, sinusitis); heart (endocarditis), kidney, urethra or bladder, blood (septicemia), teeth and gums (abcesses), typhoid and paratyphoid fever. Fluka 150 mg tablet contains Fluconazole 150 mg is used to treat fungal infections of the mouth, throat and food pipe(oropharyngeal and esophageal candidiasis), abdomen, lungs, blood, female genital infections (like vaginal candidiasis) and other organs. Fluka 150 mg tablet is also used to treat fungal infection of the membranes covering the brain and spinal cord (cryptococcal meningitis/fungal meningitis). 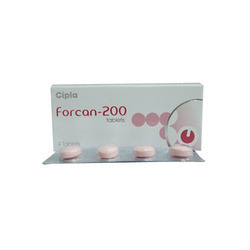 Forcan tablet contains Fluconazole is used to treat fungal infections of the mouth, throat and food pipe(oropharyngeal and esophageal candidiasis), abdomen, lungs, blood, female genital infections (like vaginal candidiasis) and other organs.Forcan tablet is also used to treat fungal infection of the membranes covering the brain and spinal cord (cryptococcal meningitis/fungal meningitis). We hold specialization in Exporting and Trading wide range of Pharmaceutical formulations.With our expertise in this industry, We are able to offer superior range of Roxithromycin Tablets. At vendor’s end, offered tablets are processed using the latest quality chemical compounds and modern technology in sync with industry norms. Our provided tablets are tested on predefined parameters so as to ensure their quality and high purity. Apart from this, clients can avail these tablets from us in various packaging options. 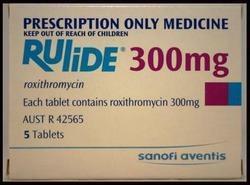 - Roxithromycin is used to treat urinary, soft tissue and respiratory tract infections. 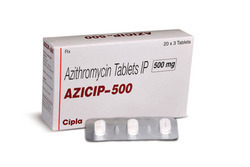 Azithromycin is an antibiotic used to treat bacterial infections of the nose, throat, lungs, bronchitis, ear, skin, soft tissues and ST genital and urinary infections. 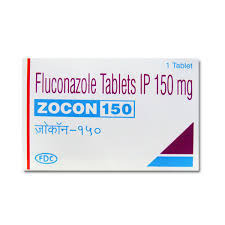 Zocon tablet contains Fluconazole is used to treat fungal infections of the mouth, throat and food pipe(oropharyngeal and esophageal candidiasis), abdomen, lungs, blood, female genital infections (like vaginal candidiasis) and other organs.Zocon tablet is also used to treat fungal infection of the membranes covering the brain and spinal cord (cryptococcal meningitis/fungal meningitis). Looking for Antibiotic Medicines ?